Consistency: Solid but permeable at room temperature. Absorption/Feel: Leaves oily/waxy feeling on the skin. Shelf Life: Up to 2 years if stored in airtight container in cool, dry location. Action: Emollient, anti-inflammatory, UV protectant, soothing, humectant. 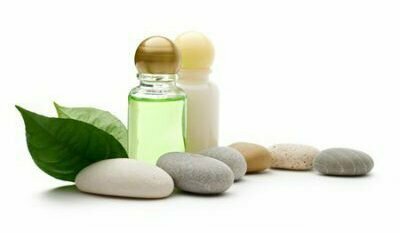 Benefits: Shea Butter is not considered a carrier oil, but its natural and beneficial properties make it suitable for aromatherapy work. Shea Butter is very moisturizing and has a smooth, creamy texture. It can be used in massage blends, lotions, creams and other natural skin care products. Shea butter is primarily well known for its nearly unequaled softening and emollient qualities. It penetrates skin easily, leaving it soft and supple without a greasy feeling. It is beneficial for very dry skin, chapped or burnt skin and to prevent wrinkles. Shea Butter is rich in antioxidants, includes vitamins A & E and helps to reduce the appearance of scars, stretch marks and skin discolorations. It is often used as a hair oil to treat devitalized, dry hair and scalp, as well as to soothe and calm rashes, eczema, dermatitis. Shea butter is ideal used as a base for an ointment to help with sprains and rheumatism. It is known by the African people to have anti-inflammatory properties and they have traditionally used it to cure inflammations. Shea butter is known to play an active role in screening UV rays from the sun due to its cinnamic acid content. This level of protection can go up to SPF6, although this may vary depending on the origin and quality of the oil. It can be used in sun product recipes. It is nevertheless not adequate to offer full UV protection. More information: Shea Butter can become gritty if not melted and cooled properly. It needs to be heated to a minimum 175 degrees F and kept heated to that temp for at least 20 minutes. If possible, let it cool in the refrigerator. Once it has cooled, it does not need to be kept in the refrigerator. Chemical Analysis: Shea butter contains the following fatty acids: oleic acid (40-60%), stearic acid (20-50%), linoleic acid (3-11%), palmitic acid (2-9%), linolenic acid (<1%) and arachidic acid (<1%). Precautions: A natural constituent of shea butter is latex (a natural rubber) . If you have an allergy or sensitivity to latex, avoid shea butter or perform a skin patch text prior to use. Identification of genes involved in shea butter biosynthesis from Vitellaria paradoxa fruits through transcriptomics and functional heterologous expression.